New Constructed three bedroom two bathroom vinyl siding home with a two-car garage. 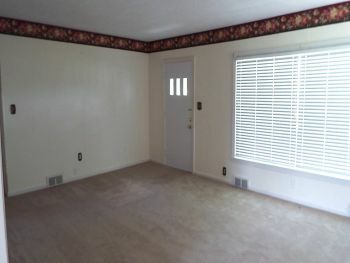 This home is on a concrete slab and has laminate flooring throughout with carpet in the bedrooms. 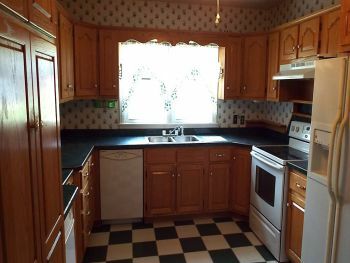 The kitchen has new stainless steel appliances, custom kitchen cabinet with granite countertops. The home has central heat and air as well as a covered front porch and a rear deck. Home is located in the Salem school district, sitting on 2.2 ac m/l. Call today to what could be your new home. Looking for your dream land with a farm house we have it! Absolutely gorgeous 34 acre farm m/l that lay level to gently rolling and has a nice home that has 3 bedrooms, 1 bath, living room, kitchen and full walkout basement. Home offers oak hardwood, vinyl and tile flooring, new central heating and air purchased in 2016, also a flue for your choice of heating, newer metal roof, some replacement windows, granite back splash and side deck off of the kitchen. The farm has some breath taking views from the back yard which overlooks the entire back of the farm having a pond and creek. Farm is fenced with electric, barbwire and cattle panels, as well as a chain link for domestic animals, and sits at the end of a dead end road. Property also has a open ended 3 stall building for all of your farm equipment. Call today for your viewing of this property! Tired of the high cost of city life? Still like to putter around and fix things? Take lazy afternoon walks in the country? It's not for everyone but if this describes you then this lovely farm may be exactly what you are looking for. This very spacious vinyl sided home sits on 8.38 acres m/l with gorgeous panoramic views in all directions from the wrap around side porches. Home offers 2,530 Sq. Ft. m/l of living space on the main floor and upstairs and another 1,512 Sq. Ft. m/l in the basement. Property also has a 24' X 40' workshop/garage with overhead door and concrete floors, another 16' X 20' storage building and a new 30 Ft. X 60 Ft. Insulated building with concrete floor and overhead door. 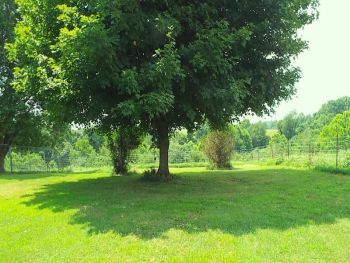 Property has been fenced and cross fenced for animals and is very secluded from the road. 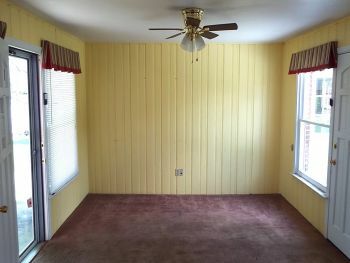 Home has very spacious rooms and has been wired on the main floor for electric. Call today for your viewing of this property. Charming Cape Cod style brick 1 1/2 story home featuring 3+ bedrooms and 2 full/2 half baths. Single car garage, fenced in backyard and 34X28 work garage. New plumbing 2016, Energy Efficient, Survey 2016, new water line and meter, new electric meter 2016. 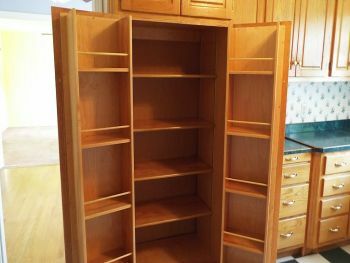 Stove, refrigerator, compactor, dishwasher, garbage disposal, and microwave remain with the home. Drains updated 2016 and new All-Dry system 2017 (warranty will transfer to new owners). Basement is 3/4 finished. Gas fireplace. 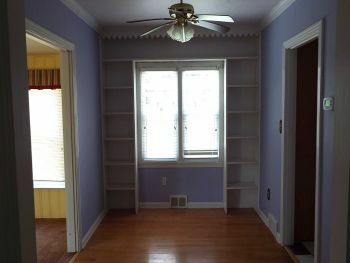 Hardwood, linoleum, ceramic tile and carpet (hardwood floors under carpet). Click here to return to top of the page.